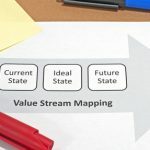 Value stream mapping (VSM) is a fundamental lean technique that’s fallen out of use in recent years for various reasons, but it can still be of huge benefit to organizations that use its potential properly. It takes some time to get used to the basic concepts, but once you’ve gotten the hang of it, you’ll probably never want to put the charts down and you’ll always have some ideas in the back of your mind about how their design can be improved even further. 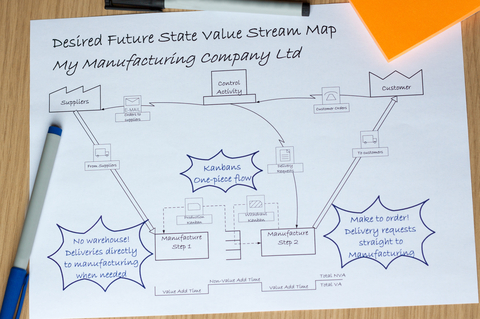 On the most abstract level, a value stream map shows how resources flow through your company, from the moment you receive them from your various suppliers, to when they reach the final customer. The map shows a lot of detailed information about the way the process works – for example, it can give you a quick preview of the frequency of each process, its timing relation to other processes, and the way the big picture is structured. 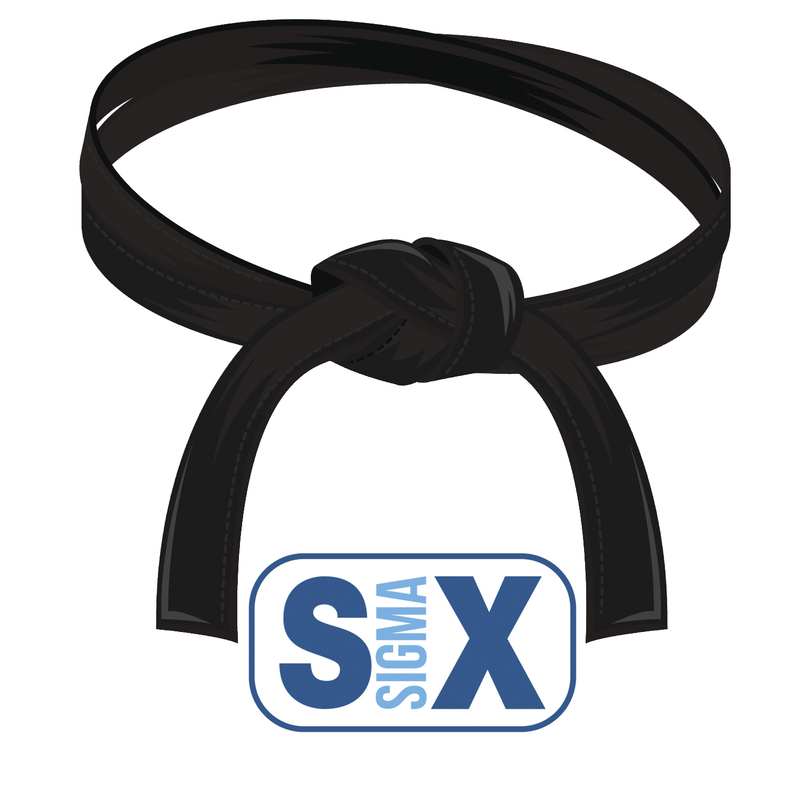 Various symbols can be used to represent the different operations going on in your company, and you can get creative to some extent too. 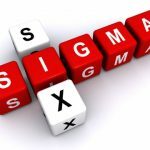 For example, phone and mail symbols are not uncommon when presenting the corresponding types of communication, and you can even draw simple mini-diagrams that chart this behavior in additional detail. Your operations should be split into “boxes,” each showing how the specific operation is linked to others within the organization, as well as what kinds of input it receives from other parts of the company. This can be useful for visualizing complex processes that take forecasts and other similar types of data into account. One of the great thing about value stream maps is that it’s entirely up to you to determine how complex you want your maps to be. You don’t have to plot them in a lot of detail if your operations are relatively simple, and on the other hand, if you need to visualize something truly complicated that doesn’t fit into one single diagram, you can draw multiple connected ones until you have a sufficient level of abstraction in your model. That’s a huge benefit in value stream maps that not many people use properly, leading to somewhat skewed impressions of what the tool is capable of in the first place, but that’s a different story. The important point to take away from this is that you have a lot of power and flexibility in your hands when you want to develop a VSM that represents the way your organization works in every detail necessary. 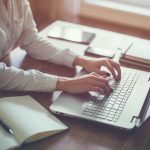 There are some data points that you’ll probably end up repeating a lot across your different processes, and it’s a good idea to get familiar with how to best draw them up for the different procedures in your own organization. For example, for manually controlled processes, you’ll want to take the number of operators into account, the way they’re changing their shifts, and the total working time allocated to the process. Another important detail you may want to look at is the “scrap rate,” which will help you identify points where waste is created in your processes. This can be particularly important when you’re trying to optimize the throughput of the organization, and if you keep running into bottlenecks that require a lot of additional maintenance work, this can help you identify where they are occurring. You’ll probably also have some variables that are specific to your particular business, and you may need to sit down for some brainstorming sessions with your partners and other leaders in the organization to figure out what they are. You don’t need to reflect every tiny detail in that list, and in fact, it’s counter-productive to do so. Make sure you have a clear overview of how the company works from all angles before attempting to figure out those variables, and always get additional input if necessary. 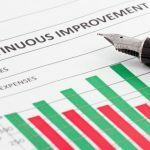 Value stream mapping can be a very powerful tool in the right hands, and once you’ve understood the basics and have overcome the initial barrier of learning, you’ll find this to be an indispensable tool in your arsenal, and something that you’ll try to apply to pretty much every process in your organization in the future. How Can a Time Study Improve Our Workplace?